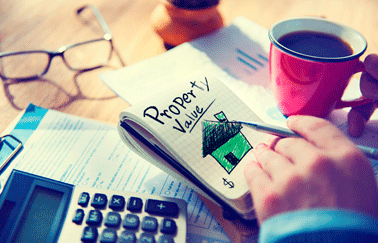 Real estate appraisers are crucial players in many home sales. Ordinarily, the mortgage provider hires the appraiser, after a purchase has been agreed on and a home loan has been applied for, to determine the value of the home and whether it makes sense for the lender to provide as much money as the buyer is asking for. As an agent, you need to know what real estate appraisers look for when determining a home’s value. In many cases, you should hire an appraiser before the home goes on the market to help determine the asking price. Pre-listing appraisals give the seller a realistic idea of where their property should appraise at the time of listing. They also point out any areas of concern which may be found during an appraisal so the seller can address these issues upfront. It is important to note that this same appraisal cannot be used should an offer be presented (even if the offer supports the appraisal and vice versa). Lending guidelines would require a new appraisal be ordered. However, if the same appraiser did both reports (which is permissible), he or she may offer a discount. Karen J. Mann, president of Mann Appraisal (Discovery Bay, California) notes that disparities between the agreed-upon price and the appraised home value can sometimes break the deal. Thus, she advises selling agents to have the house appraised at the beginning of the process. Mann notes that in today’s seller’s market, she sometimes sees overbidding, and in that case the lender might not offer as big a loan as the buyer wants. In that case, either the sale price can be negotiated down, or the buyer can make a larger down payment—or the deal could collapse. That’s why a seller should work with an appraiser early in the process. Note that if real estate appraisers use distressed sales in their report, they must comment why and the lender must be okay with their reasoning. So if foreclosures flood the market and essentially establish a new market value range, then it would be acceptable to utilize them. If, however, there are perfectly acceptable comparables to utilize that are not distressed and point to a higher value, the lender would not accept the use of these comparables. Thus, Lerner says, it’s wise to hire an appraiser who knows the local market intimately, and understands intangibles such as proximity to public transportation or the relative importance of lot size in different markets. “Appraising is both a science and an art,” she concludes.